LOS ALAMITOS, CA--(Marketwired - Dec 17, 2015) - NovaWurks™ Inc., a provider of high technology space products and services, announced today that for the first time a Hyper-Integrated Satlet (HISat™) based spacecraft the company designed has been successfully launched and received at the International Space Station (ISS). The SIMPL ("Satlet Initial-Mission Proofs and Lessons") experiment was part of the successful launch and capture of the Orbital ATK Cygnus resupply mission to the ISS in early December. "NovaWurks' technology was included in last week's successful Cygnus Spacecraft launch and ISS docking," said Talbot Jaeger, founder and chief technologist at NovaWurks. "We are happy to report that our HISats are now in space." The SIMPL experiment marks the first time NovaWurks has sent into space the company's flagship technology, the HISat™, a biologically inspired satlet grouping that will radically change the way space is approached. On December 9, 2015, Orbital ATK's Cygnus was successfully grappled by the ISS's robotic arm and then attached to the orbital outpost to begin the transfer of the SIMPL components onto the ISS. 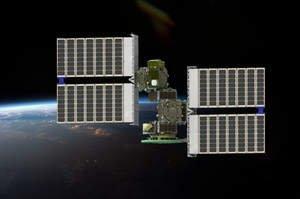 In a recent NASA TV broadcast of a pre-launch ISS Science, Research and Technology Panel discussion, Jaeger explained the significance of SIMPL saying, "SIMPL consists of eight fundamental pieces, six HISats and two solar arrays. The entire satellite will be assembled on board the ISS and then be deployed as a fully operational, newly built spacecraft. It will be another first for the space industry." For more information about this topic, please visit www.novawurks.com. NovaWurks, Inc., located in Los Alamitos, California, invents, designs and creates high technology products and services for a broad range of applications for space. The NovaWurks team of designers, scientists and engineers offers a diverse background in spaceflight, consulting and research work with decades of experience in managing complex, visionary projects for government, military and corporate clients. For more information, visit www.novawurks.com.